This is my first 1/2A build in over three decades. It came to me as part of a lot of kits I bought on ebay. It seemed like a simple way to get my feet wet again. I have the Herb Tarlich gene, so I played it safe and went with the color scheme of the box art. It is wearing the Super Bee from my brother's early 1960's P40. This was ordered at the flying circle at Disney Land. I put a stunt tank bowl on it. There is a wire inside the fuel tube on the backplate fill ports that keeps the tubing in place. Die cast backplates are too valuable to be hacking one up. It had it's maiden flights with a Black Widow. It was way nose heavy with that long tank. I also added a tail skid with some solder wrapped around it. Hopefully it will do more than terrifying loops now. flaring for the landing would also be nice. If it turns out to still be nose heavy, I am thinking I can drill and carve out a lot of useless meat on the engine mount. (I do have a spare one) Anyone ever try that? Though it is hardly a Ringmaster, it does look nice at the end of the lines. I can't imagine that Sterling sold many of these. The name alone had to have been the kiss of death, almost as bad as Edsel. Just as well: The wing was badly warped, and the fuselage was way too soft, and still would have been worthless due to the poor die cutting. (The fin mounting area was chipped off). So out of the kit, I was able to use just three of the balsa parts. For something aimed at beginners, this would have been a very disappointing project. I went with thread hinges instead of the cotton bias tape supplied. I used the cotton tape to strengthen the fin joint...those are always falling off IME. 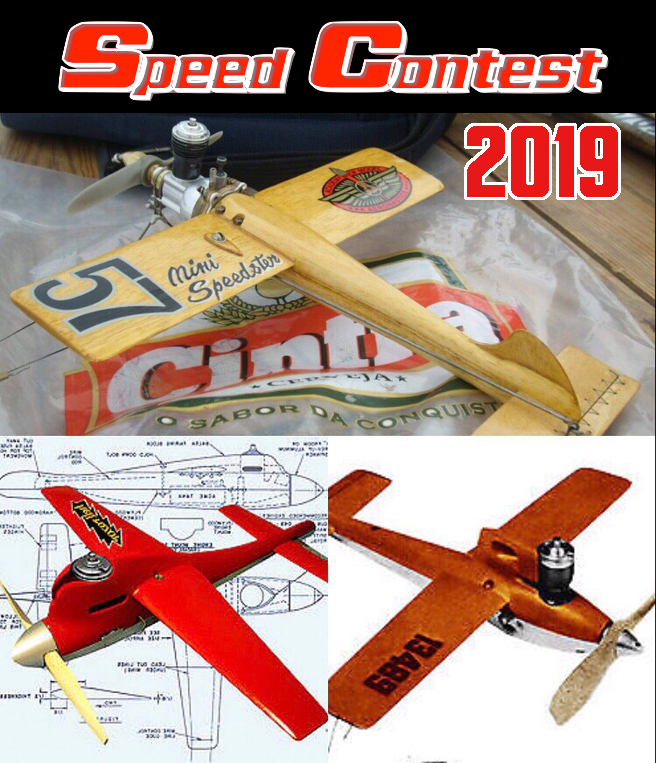 On edit: Other changes to the kit were the addition of a pushrod support, and I glued three pennies under the outboard wing tip for balance...seemed about right on the first flights with the 'widow. 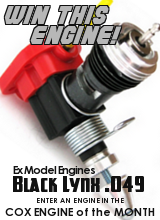 Most modelers back in the day were taken under wing from more experienced modelers. There were more control line pilots and builders and essentially those in the 1960's- into the 70's were really fortunate to have literally hundreds of products available to them. For most beginners, they had support be it parents, modelers or the hobby shop itself. Sterling kits by far are nothing to brag about. They're horrible kits in terms of what you received in the box. The instructions are not full size and lacking, the wood was horribly die crushed and the pieces didn't always fit or where even in the box. If you mention the word control line to those that have even been slightly educated in the hobby they will more than likely mention the word Sterling. They literally sold thousands of kits.The beginner's series kits were mainly popular due to the fact that you could now use the engines from your Cox or Testor's RTF plastic planes that splattered and shed parts all over the ground. 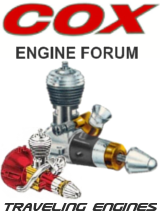 The engine was now given new life once again and even Carl Goldberg made mounts to utilize the Cox postage stamp backplates to be used on these models and others. I live in the Philadelphia area and truly miss the Sterling company. Unfortunately, due to a fire in the 80's they were no more. In the earlier years you could visit the plant and even fly on the rooftop. They dominated the market in variety and in cost and these two factors alone is why for most of us Sterlingaholics are infatuated with them. You literally purchased 2 kits for the price of the competitors. I used to see guys show up at the field with their kids and they would have a entire airforce of Beginner's series Sterling kits. Some of them actually would fly fairly well and could stunt while others lacked wing area and balance issues. From an appearance standpoint they appear correct, but many of them had too small of an elevator or like the Ringmaster, too large of an elevator which typically stalls the plane. The trick with these planes is to lose the landing gear as I noticed you've done. Most slab winged 1/2A's and most 1/2A's in general don't require it due to the cartwheel landings. It only makes for a heavier nose and drag. Removing any wood or mount weight from the nose of these is not going to result in enough tail weight to suggest a serious enough cg change. The planes were designed for beginner's and they were intentionally made nose heavy. Lengthening the fuse and shifting the wing forward or stab backwards would provide far greater results then adding tail weight and just making the model heavier. I have several of these kits. I use them as templates to build slab wing kits just to knock around. The estes version of the lil stuntin ringmaster is very similar to the one you have although it came in a different box. I had very good performance out of the one I built. 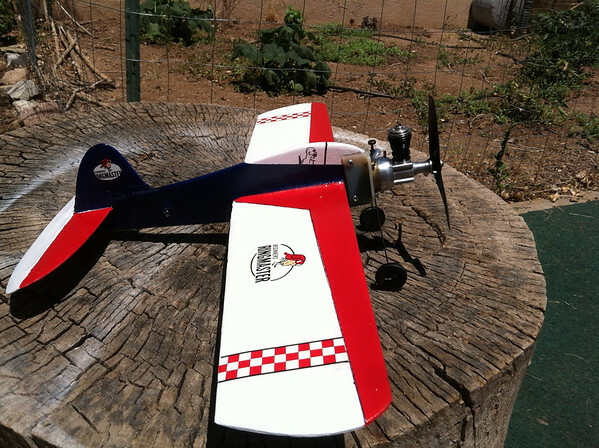 I taught my son to fly on it, and it survived a lot of crashes. Sadly, it was the first one I built when I got back into control line and I didn't make any templates. The lil stuntin ringmaster goes for upwards of $39 on ebay, so I haven't tried to buy another, and I have found that the Blackhawk models are of better quality. 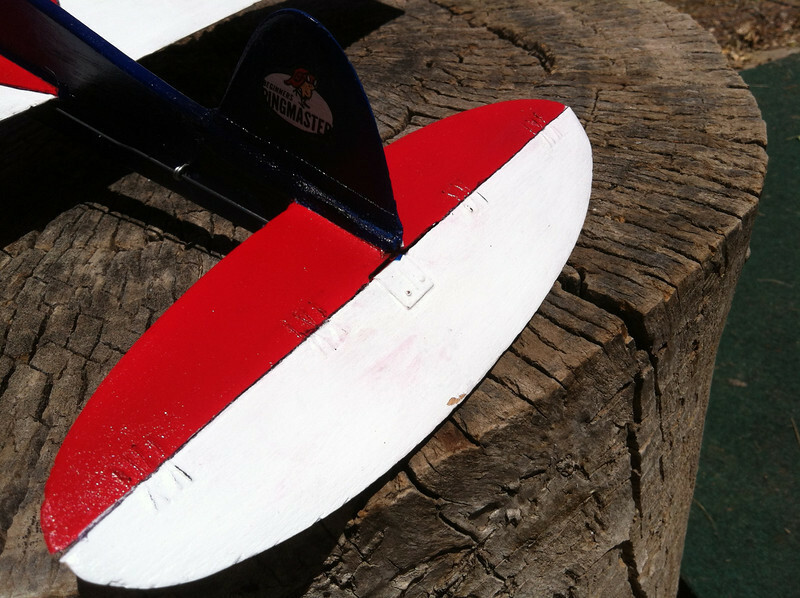 When I was kid my dad was somewhat of a draftsman, and we would design our own slab wing planes. He made a whole fleet of pee wee scale fighters that were about half the size of the Sterling kits. The neatest was a Bearcat. We would spend hours at the school yard flying the sterling kits and his own designs. I keep those sterling kits because they remind me of all the fun I had flying them. Unfortunately I didn't have any experienced flyers to help me so I never went beyond Novice. Overall, this is a great hobby. I am glad I am back with it, and my son has learned to fly. Amm2: I had to make a new fuselage and wing, so I still have those part from the kit. I will trace the tail feathers in-situ. PM me and I'll send you a copy. Ken thanks for the complement on the finish. I bought a cheap harbor freight airbrush, but it worked nicely, except the dope thinner attacked the jar. It came with 5-6 jars, and one gave it's life for the Ringslabster. The camera likes this model, there are a lot of flaws that don't show in the photos, and of course I chose the angles to hide the worst ones. We didn't have CA the last time I finished a plane with dope, so I learned that dope doesn't stick to CA. Nice job there Kevin. The paint job turned out well. When we gonna take it out to the school and fly it? You missed quite the day today. We had six guy's flying many different airplanes. 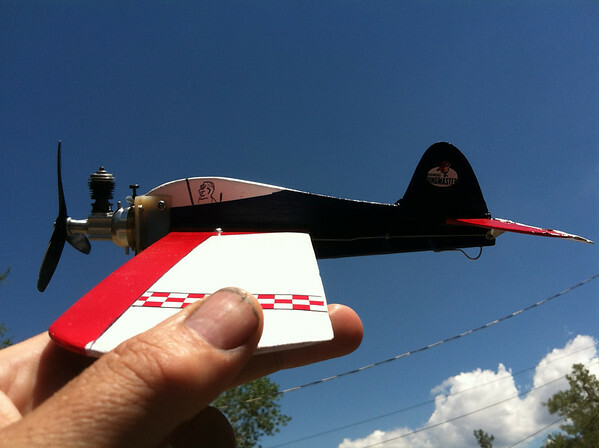 I managed to put up quite a few flights with my Ringmaster and a couple with the Mustang. My last flight I knocked the tail off the Rm again. I've already almost finished fixing it. I flew some nice loops today and even ended up inverted on a flight. Scary.... LOL!!! give me a call later in the week and we can organize to fly this weekend. That's a sweet looking airplane! 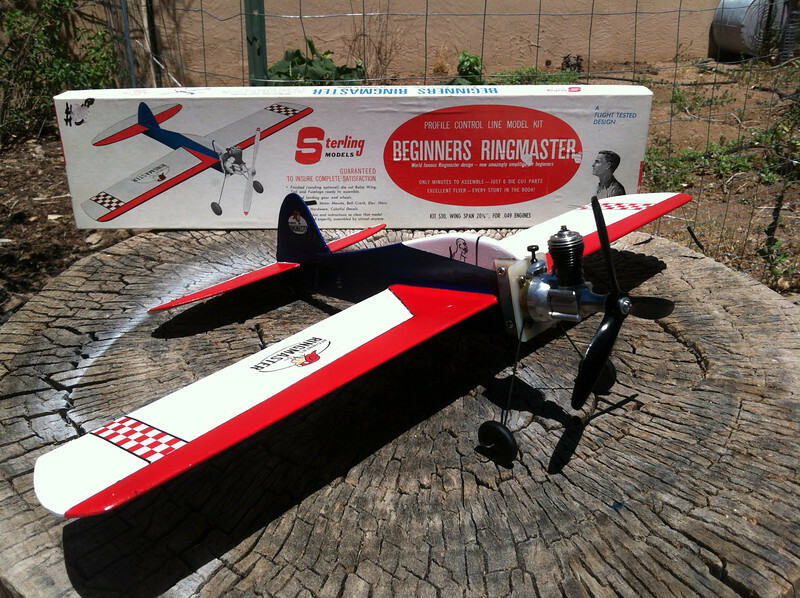 I built a few Sterling Ringmaster kits back in the day and had a ball flying them. I know I'm kicking a old mule here...I pulled the hand Traci is from OZ and HPA to start cutting wood. This "ARF kit" is for a boy at church. It is almost ready to assemble and paint. It has been finish-sanded and sealed with clear nitrate. The only remaining details I'm missing concern the bellcrank mount, lead-out plate, and nose length for a plastic backplate Cox .049 with external tank. how far back from the leading edge is your bellcrank screw? 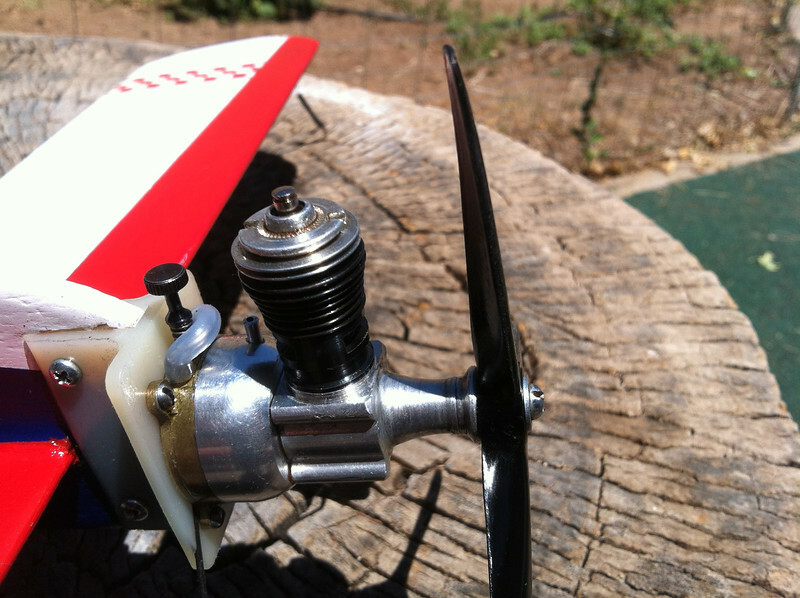 How far is the bellcrank screw from the fuselage? 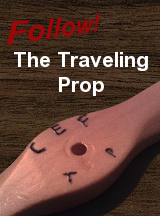 How long is the nose from the leading edge to the prop drive plate? How far back from the leading edge are your lead-out? Jim , New222 has the PDF of this i got it from him and can't find it right now , try PM him i am sure he will bee more than happy to send it to you . Mine is not built . Chancy is his name . The PDF I had has only the templates/patterns of the wing, duse, and tail group. Thanks all...I found a copy with all drawings/details. getback wrote: Jim , New222 has the PDF of this i got it from him and can't find it right now , try PM him i am sure he will bee more than happy to send it to you . Mine is not built . Chancy is his name . Not to beat a dead horse, but if anyone wants a copy of the tracings from the Estes kit, please PM me. I have them available for sharing. It really is a nice flying plane, very docile, and easy to repair. The only modification I have made on this is to use a 1/8" square hardwood stick between the joining of the front and rear wing halves if using 3" wide sheet. If using sheet big enough for a one piece wing I suggest to put this right at the leading edge. Can even put it at the leading edge of teh 3" wide sheets if desired, but as I am gluing it together there, I just put it there.